created six goals that we use to help guide us in the right direction. To provide Minnesota college & university students with the knowledge, skills, and abilities needed to transition into successful cybersecurity professionals. To advance awareness of cybersecurity issues (cyber safety, cyber hygiene) in the community at large. To facilitate continuing education and training of the existing workforce for high-demand skills in cyber-related occupations, for employees both with and without IT/security background. To grow interest in cybersecurity careers among students in grades 7-12. To raise awareness of cyber risks faced by small/medium businesses, and provide resources to improve their cybersecurity and cyber-resilience. To conduct and support applied research to advance the field of cyber security. Minnesota Cyber Careers Consortium (MnC3) is a program of Minnesota Innovation Lab (MNiLab), a 501(c)(3) non-profit organization which empowers entities to foster commercial vitality and collectively impact the public good by leveraging their assets and connecting the dots in new ways. 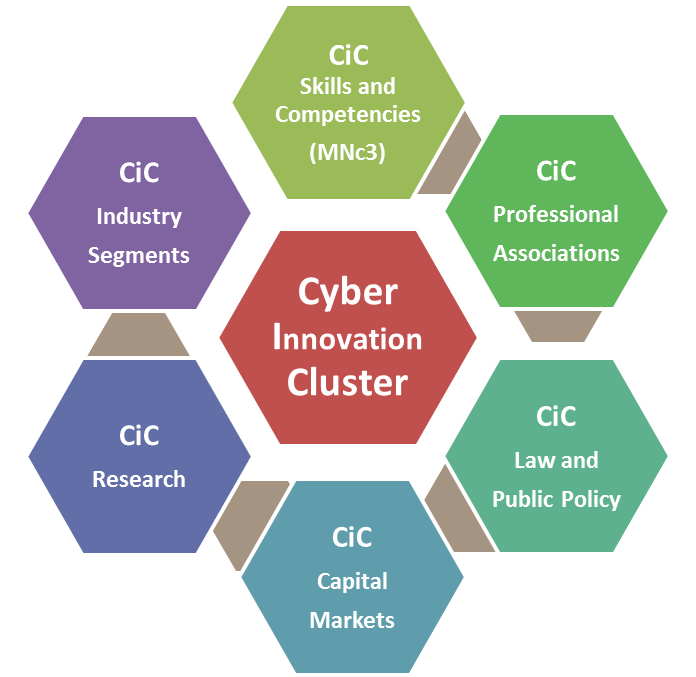 As a part of MNiLab, MnC3 is envisioned as one key grassroots educational collaboration strategy to grow a Cyber Innovation Cluster (CiC) in Minnesota. Firasat primarily leads Advance IT Minnesota’s efforts in developing innovative business and technology curriculum, hosting industry-faculty events, running student competitions, and conducting security and technology assessments. Firasat has a Bachelor’s in Civil Engineering, Master’s in Management Information Systems (MIS), and a Doctorate in Business Administration. He holds multiple industry certifications in information technology, security and forensics. He has substantial academic and professional experience, including various IT management roles and as an educator. He is familiar with the design and management of online learning in corporate and academic environments. Firasat serves as part-time faculty member in Metropolitan State University’s MIS program leading courses in analytics, MIS topics, and security. Faisal Kaleem received his Ph.D. degree in Electrical Engineering from Florida International University (FIU),Miami, FL. Since 1998 he has been serving as an educator in different institutions. 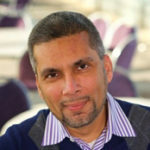 Currently, he is serving as an Associate Professor in the department of Information and Computer Sciences at Metropolitan State University as well as a Senior Fellow at the Technological Leadership Institute (TLI) at University of Minnesota. 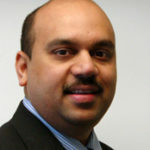 Dr. Kaleem is an experienced lifelong cybersecurity practitioner. 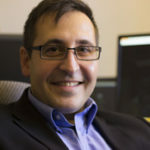 His research interests include multiple aspects of cybersecurity including cyber security and forensic education, Computer and Network Security but more specifically in the area of mobile device security, mobile malware analysis and attribution, and mobile forensics. Recently he received a National Science Foundation (NSF) grant to identify key characteristics of cyber security learners through the use of Augmented Reality (AR) and to identify ARs privacy issues. In addition, he also received a mini-grant from Intel to develop short modules in the area of mobile device forensics. During his 15 years tenure at FIU, he has established a solid track record in teaching and has received numerous awards including the best professor and the best course awards (cybersecurity) from various graduating cohorts. In recognition to his teaching, he has also received a university wide Faculty Award for Excellence in Teaching. He continually appears on various local news channels discussing various issues in the area of cybersecurity. He is also a certified trainer and currently holds various industry certifications in the area of security, networking, programming, and databases, including Certified Information Systems Security Professional (CISSP). Dr. Christophe Veltsos (CISSP, CISA, CIPP) is an associate professor in the Department of Computer Information Science at Minnesota State University, Mankato where he regularly teaches Information Security and Information Warfare classes. Beyond the classroom, Christophe is passionate about helping organizations take stock of their information security risks and manage those risks across the intricate landscape of technology, business, and people. Whether performing risk assessments, working alongside CIOs & CISOs to set strategic security priorities and improving their communications, or advising board members on effective management of cyber risks, Christophe enjoys working with/for business leaders to improve their organization’s information risk posture. Christophe holds a Ph.D. from the University of Louisiana at Lafayette and is a member of many information security and privacy related organizations including ISACA, (ISC)2, and IAPP. Both faculty and practitioner, Christophe maintains the DrInfoSec.com blog and tweets passionately about information security. Dr. Ghosh is a Professor at St Cloud State University in the Department of Computer Science and Information Technology, and is the director of the Cybersecurity program. 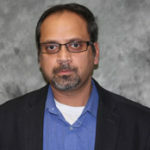 Dr. Ghosh is actively involved in Information/Cyber Security research, and has received several grants from both federal and local agencies, including CyberCorps: Scholarship for Service from National Science Foundation, Information Assurance Scholarship Program from NSA/DoD, and various other from Advanced IT MN and Emerson Process Management. He is also actively involved in working with Community Colleges, participating in area high schools career events, and advising the Cyber Defense team since 2007. Dr. Ghosh is the current Chair of MnC3.